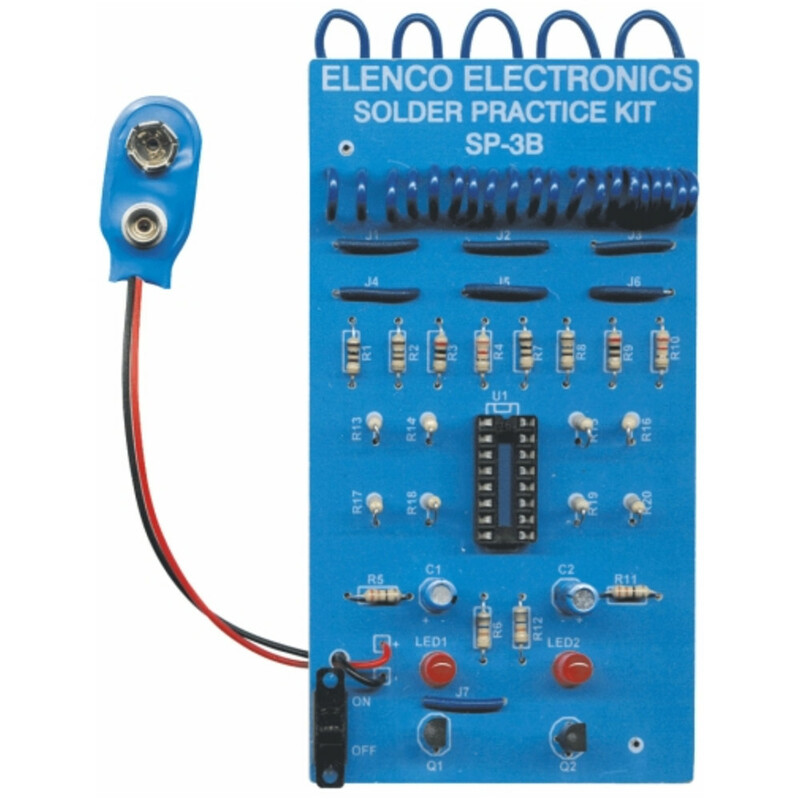 Good Soldering requires practice and an understanding of soldering principles. 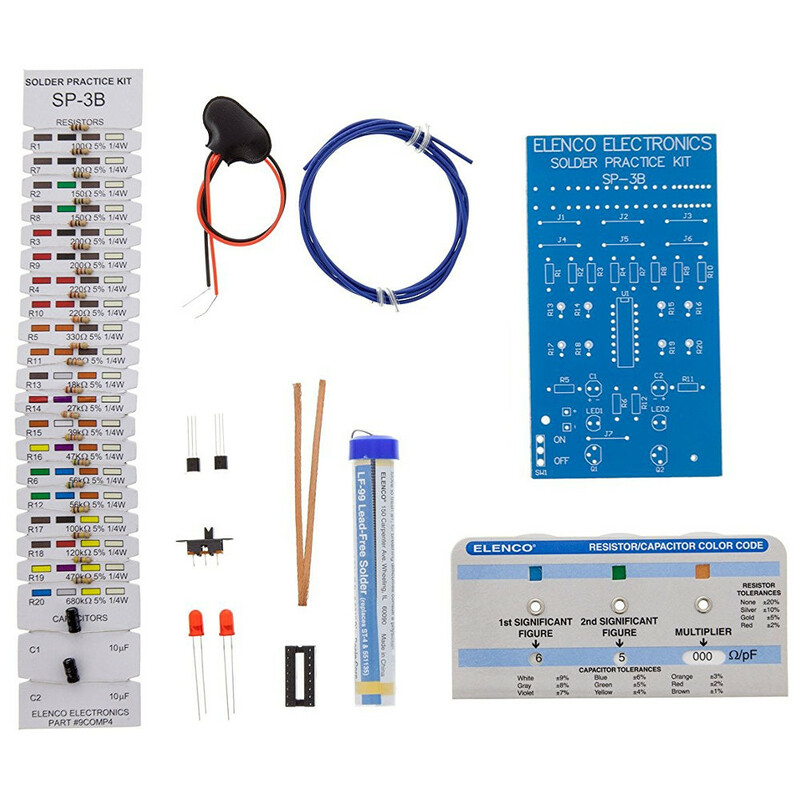 This solder practice project will help you achieve good soldering techniques and help you become familiar with a variety of electronic components. When the project is completed properly, two LEDs will alternately flash.